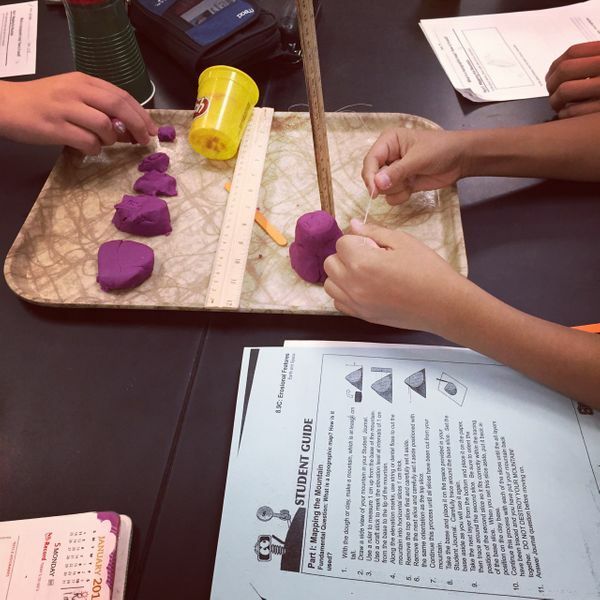 Day 80: Topographic maps & Play-Doh! 8th grade science students started the spring semester learning about topographic maps. A very challenging subject for sure, but teachers provided some hands on learning for the kids to help visualize what the maps were really representing: Play-Doh in the name of science!